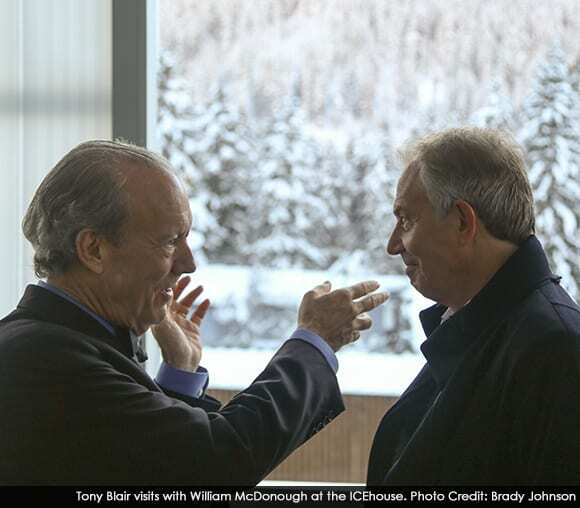 Designer and thought leader William McDonough has debuted ICEhouse™ (Innovation for the Circular Economy house) in Davos this week, as a place for those attending the World Economic Forum annual meeting to gather and discuss the future of Innovation for the Circular Economy. ICEhouse was created by William McDonough working with his firms, William McDonough + Partners and WonderFrame LLC. The McDonough team was invited by Hub Culture, a global collaboration network, to create the structure in Davos. The project was supported by and a close collaboration with SABIC and also received support from SAP. 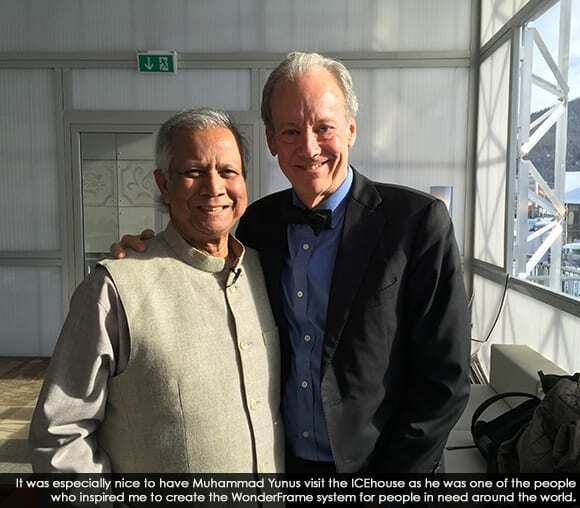 It is the centerpiece of Hub Culture’s mission to welcome innovators and leaders at the World Economic Forum. 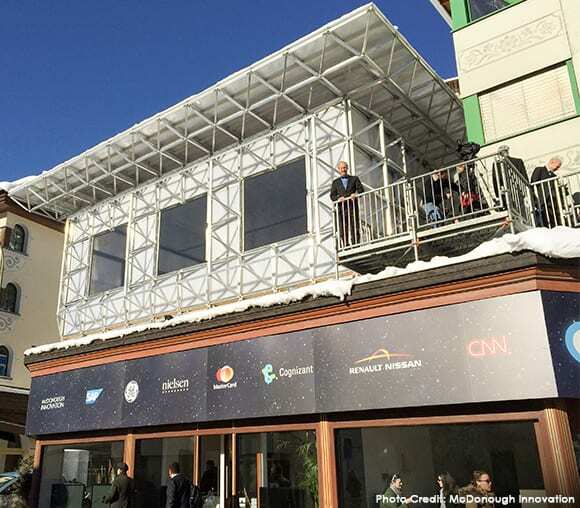 Sited on the main promenade at Davos, ICEhouse is made of aluminum and SABIC’s LEXANTM polycarbonate sheet and systems. Shaw Contract Group provided flooring materials. The walls and roof structure were assembled in just a few days. 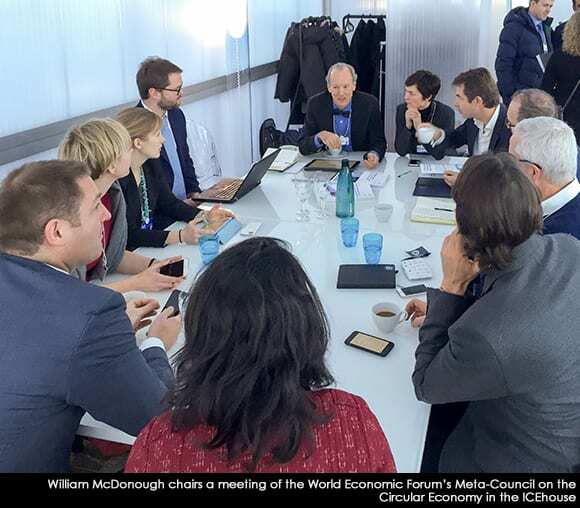 After the close of the 2016 World Economic Forum, McDonough plans to locate an ICEhouse in Amsterdam, at The Valley at Schiphol Trade Park, The Netherlands’ new National Hub for the Circular Economy (for which McDonough is a partner and master architect). William McDonough + Partners architects has designed pioneering architectural projects, such the Park 20|20 development near Schiphol Trade Park—“circular buildings” and “circular architecture”—that are designed to embody the economic principles of the circular economy and quality inherent in Cradle to Cradle-inspired design. For more information, visit the ICEhouse project page here.